Strange place Chicago. You never know when you are gonna get a nice day. See what a sunny day can do to a november morning in this set of Lincoln Park engagement pictures I took for Laura and Michael. 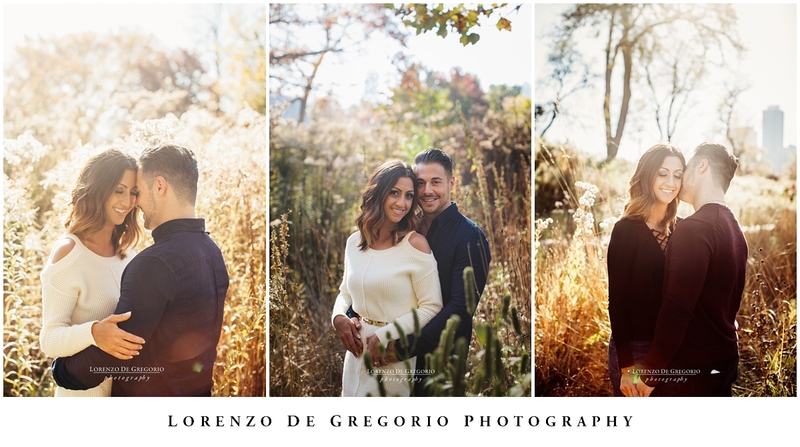 These guys have a magnetic connection and the countdown to their september wedding is on! LOOKING FOR ENGAGEMENT LOCATIONS IN CHICAGO? Are curious about other locations in Chicago for your engagement pictures? In the past 9 years I have shot sessions all over the town. If you like Chicago riverwalk, look the pictures of Jackie and Max. If you like BW, then you might love Se Won and Phil’s collection. Need colors for a winter engagement? check Lindsey and Mark‘s pictures at Millennium park at Kenzie bridge. And if you are interested to a downtown Chicago sunrise engagement session, you should check Ashley and Dan’s shoot, Ashley and Chad’s Millennium engagement photos or the Field Museum session of Cristina and John. If you are looking for something completely different, then browse the Morton Arboretum fall engagement photos of Brittany and Matt.